A chaotic hack and slash set in a war torn medieval world. Developed by Ubisoft, For Honor creates a harsh and brutal battlefield for its characters. Telling the story of the Knights, Vikings and Samurais, For Honor is the tale of how these great warriors were shaken by a cataclysm that re-shaped their land. Struggling in a desolate new world and in a bid for survival, they turned on each other. Hundreds of years later, the feud is still very much alive. You will be able to play as all three factions with a diverse mix of heroes and classes. For Honor Characters: Who To Play As? We got a little taster of the upcoming medieval online fighting game, For Honor, from the closed beta that happened last weekend. We’ve been in deep discussion about which For Honor characters were the best to play as and why we’re looking forward to jumping back in! The For Honor beta came to an end today, and we were fortunate enough to try out the new tactical multiplayer battle game from Ubisoft this weekend and put our best knight’s flail forward! Here’s everything we learned from the beta and why we’re excited for the full launch on 14 February. They are well-balanced heroes and the playable characters of the For Honor campaign mode. With an impressive attack, but equally great defence, the Vanguards are able to move swiftly, but stand their ground. You probably want to know the benefits behind playing as a Viking in For Honor? Well, there are plenty, especially if you’re fighting style is hack rather than slash. A chaotic hack and slash set in a war torn medieval world. Developed by Ubisoft, For Honor creates a harsh and brutal battlefield for its characters. Here we have outlined everything you need to know about the For Honor gameplay to prepare you for battle. In multiplayer mode, you’ll be up against fellow For Honor players, who will also be looking to adapt and progress their skills. Consisting of The Berserkers and The Raiders, the For Honor Viking class are a passionate, headstrong faction caught up in the war that started hundreds of years ago between Samurais and Knights. The For Honor story is the tale of warriors who were shaken by a cataclysm that re-shaped their world. As these warriors struggled in a desolate land, they turned on each other in a bid for survival. 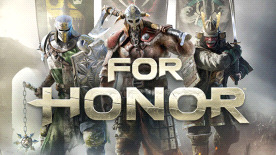 The For Honor Hybrid class is for the more advanced players, who are looking at furthering their tactics and expanding on their skillset. The For Honor Assassin class consists of the Knight’s Peacekeeper, Viking’s Berserker and Samurai’s Orochi. The Assassin class are designed to be swift and lethal in their attacks. The tank of the battlefield, the For Honor Heavies are built like fighting machines, heavy in armour, weight and weaponry, they are a great choice for running head first into a hoard of enemies. Ubisoft have announced that weapons and armour will be customisable. Although you will wield the same weapon per hero for the whole game, you will be able to vastly adapt and evolve your weapon. We’ve covered everything you need to know about the current For Honor maps. Not only is there an immersive campaign story for you to hack and slash your way through, but For Honor also has a multiplayer option. You can play as your favourite hero in five For Honor multiplayer modes. The For Honor Knight class plays a pivotal role in tying together the For Honor story. The For Honor Samurais are in short supply, as they rely on their cunning nature and great martial skill in order to survive against the other factions.